February 6, 2019 4:15 pm. 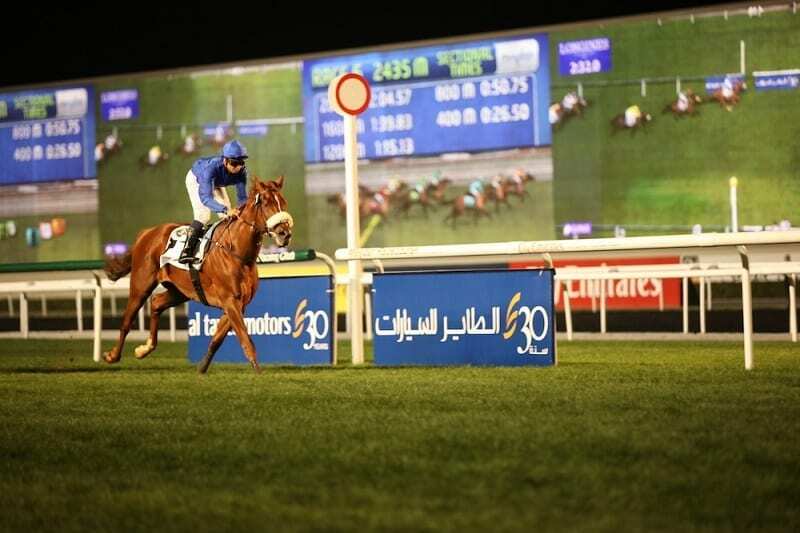 The Emirates Racing Authority Stewards inquired into a report received from the Dubai Equine Forensic Unit, that the prohibited substances norketamine and dehydronorketamine (metabolites of Ketamine) were detected in a post-race urine sample taken from DOHAA (FR) at Abu Dhabi racecourse on Sunday 9 December 2018, after finishing 11th in the Al Khaleej Al Arabi Maiden 1400m. Evidence was taken from Mr Mohamed Ali (trainer of DOHAA (FR)) Mr Khalil Dababneh (Executive Director of Al Wathba Stables), Dr Kieran Finn (ERA Chief Regulatory Veterinary Officer) and Mr Jahfar Nalakath (Dubai Equine Forensic Unit Chief Analyst). sample taken from DOHAA (FR) at Abu Dhabi on Sunday 9 December, 2018.
permission for the “B” sample to be tested at an overseas laboratory for confirmation. dehydronorketamine, was received from the Hong Kong Jockey Club on Wednesday 9 January, 2019.
on the same day the gelding operation took place. gelding took place and the barn where DOHAA (FR) is stabled. between the gelding or its surrounds, to DOHAA (FR) by stable staff or veterinarian. working in the veterinary clinic to not interact with horses in training. Mr Ali pleaded guilty to a charge under ERA Rule 95AAA 2 in that on Sunday 9 December 2018, as the licenced trainer of DOHAA (FR) he presented that filly to compete in race 1 at Abu Dhabi racecourse in the Al Khaleej Al Arabi Maiden (1400m), where it was subsequently found to have had administered to it the prohibited substances norketamine and dehydronorketamine, as evidenced by analysis of a post-race urine sample. samples will not be tolerated by the ERA. Taking into account the circumstances of the case, Mr Ali was fined the sum of AED 50,000. In accordance with ERA Rule 86 (ii) DOHAA (FR) was disqualified from its position in the Al Khaleej Al Arabi Maiden (1400m) at Abu Dhabi on Sunday 9 December 2018, with subsequent placings amended. Due to evidence tendered during the inquiry regarding the treatment to horses at Al Wathba Stables, Stewards directed that all treatment and veterinary records, since the start of the 2018/19 racing season, be provided to the ERA Stewards for examination. These documents have since been provided to the Stewards. Substance, shall be liable to a Penalty.